Or her chains, gems, flowers, or beads either. 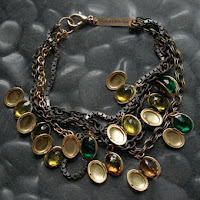 My favorite new trend is oversized, beautiful, one of a kind looking (or one of a kind) necklaces. My two favorites to drool over? 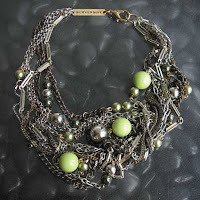 Lizzie Fortunato Jewels and Subversive Jewelry. That's all I really have to say: commence drooling.